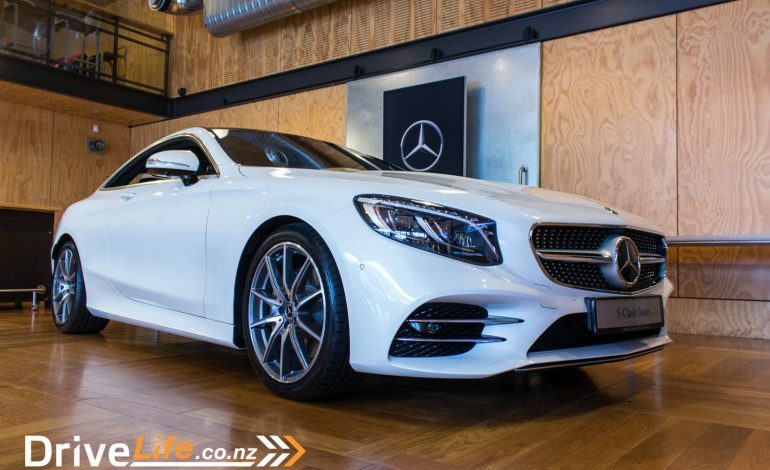 In May, 2018, Mercedes Benz New Zealand (MBNZ) invited us to the Wellington launch of the new S-Class flagship, the S560 coupe and cabriolet. 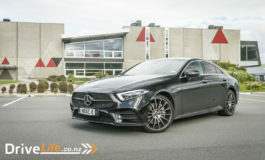 It also gave MBNZ a chance to highlight some of the safety technologies available in the new S-Class, and many of these technologies will be filtering down to the lower models over time. 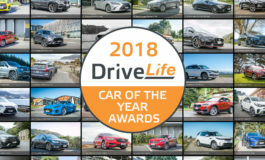 Ben Griffin, General Manager for Mercedes Benz New Zealand, repeatedly told us that the new technologies are “well proven solutions for everyday use”. They should, he said, not be noticeable to the everyday driver, until perhaps one of the technologies stepped in to assist in the event of an accident, or to help prevent an accident. One of the technologies shown to us was the Pre Safe Sound system, which means if the car detects an accident is about to occur, it will emit a high-frequency noise in the cabin. The reason for this is to prepare the passenger’s eardrums for a loud noise (impact) so as to lessen the impact of that noise. As part of Mercedes Benz’ NZ$14B R&D budget each year, it was found that there is a flap which covers the eardrum in the event of a loud noise, to protect it. Pre Safe Sound preempts this but ‘instructing’ the flap to cover the eardrum, as a loud noise is going to occur. And yes, you read it right. Globally, Mercedes Benz spends NZ$14 billion in research and development. Earlier in the day, MBNZ had some key decision makers from government at the launch, to go over the safety system currently available. It wasn’t necessarily to get government to start buying Mercedes Benz cars, but more to showcase what systems were available. To start with, MBNZ reminded us that they’ve been working on this for over 30 years, and their R&D budget now tops out at NZ$14B a year. That’s a good spend in any terms. 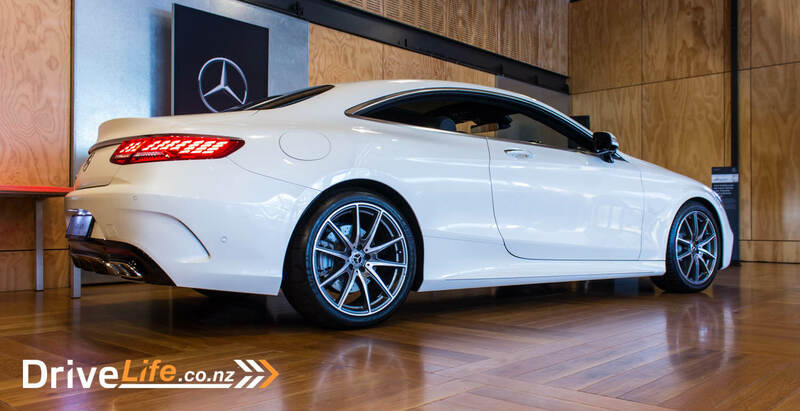 You’d want to see something come out of that much money, and today MBNZ showed us just a few things, like the QR code sticker that’s been on every Mercedes-Benz since 2014, and is also being retrofitted to other models as they come in for service. The QR sticker is on the inside of the fuel filler cap and also on the opposite B pillar, meaning in the event of an accident, one of them should be accessible. By scanning the code with Mercedes-Benz’ own app or any app that reads QR codes, emergency services personnel can see where the fuel tanks are in the car, as well as any other relevant data for a car in a graphical image. You can even flip whatever model car it is upside down on the app to get the best possible view of critical systems. 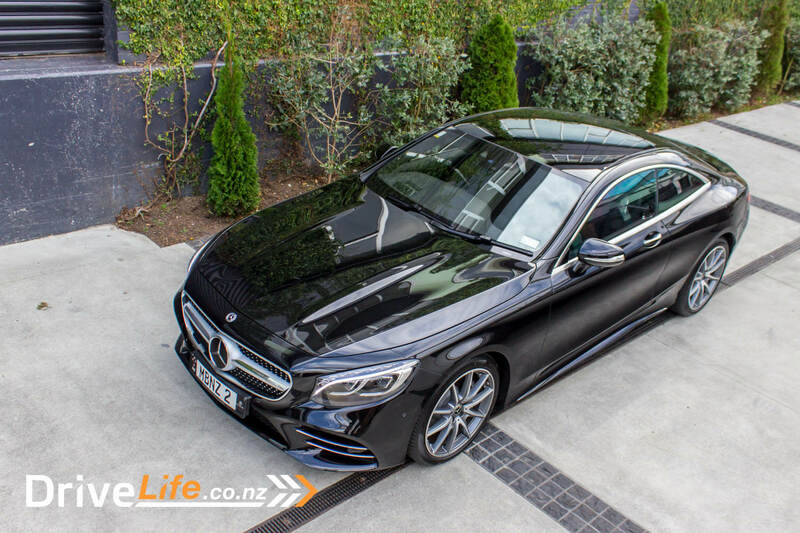 We were shown an E-Class Mercedes-Benz – complete with Victoria license plates – that is the only RHD test mule for all the new systems. It’s spent most of its time in Australia, but is now in New Zealand, being driven around and mapping our roads. MBNZ went on to say they’ve made sure that the car is driven by ‘everyday drivers’ and not engineers, which is the data they really want. 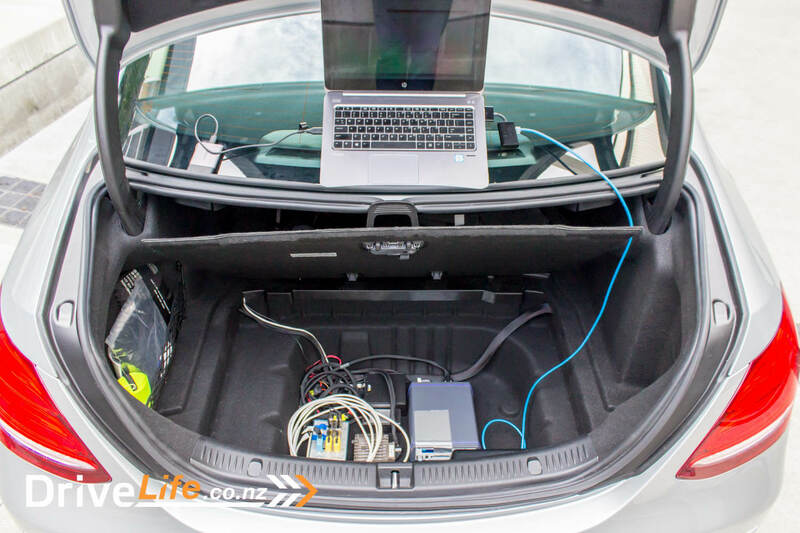 While the car was in New Zealand, engineers took the opportunity to grab the data from the car and upload it to Germany for analysis. Another reason for getting motoring journos together today was to show us the safety systems in the new S-Class coupe and cabriolet. Using the new Route-Based Speed Adaptation, we were taken out in groups and shown how the new S-Class could now adapt its speed to things like sweeping bends, roundabouts and even T intersections. With a normal car with adaptive cruise control, corners mean nothing and as long as there’s no traffic in front, the car will simply maintain the same speed. This may not be ideal, if there is a bend and the car is approaching it with too much speed. With Route-Based Speed Adaptation, the car will adjust its speed for the bend/corner/whatever. It’s quite a thing to watch, as the S560 coupe I was in slowed down for an exit on the motorway. There’s also some fancy work with autonomous driving in the new S-Class range. While on the motorway, our driver indicated a lane change, and with hands off the wheel the car changed lanes itself. Apparently it’s also intelligent enough so that if there’s a car in the left lane already, the S-Class will turn the indicator off again, wait for a gap, then indicate by itself and change lanes. As we drove through a street with some speed bumps, the cameras in teh windscreen detected the speed bumps, and adjusted the suspension for them, just as we hit them? Speed bumps? Barely felt them. There’s lots of other things in the new S-Class, as you can imagine, like a change in the amount of interior colour schemes – now 64 colours (up from 8) and there are now 10 colour schemes and 3 different lighting zones for the interior. Still on the inside, there’s now Energising Comfort Control – a wellness and comfort feature so that passengers arrive ‘fit and revitalised’. There are six programs for this, Freshness, Warmth, Vitality, Joy, Comfort, and Training. They control things like air purification, massaging, lighting, AC, heated and vented seats, and the air fragrance packets. A widescreen cockpit standard – this comprises of two 12.3” screens behind one piece of glass, and looks stunning. It’s the same setup we saw in the E-200 coupe we tested. There’s a whole new steering wheel design, and I’m happy to say the cruise control stalk is now history – it’s all controlled from the steering wheel, as it should be. In the S560 cabrio, you can also heat the centre console and armrest on the doors. The S560 coupe I was in had this as an option, and I must admit while I rolled my eyes when MBNZ discussed this feature, it was pretty nice. Wireless phone charging makes an appearance now, as do new engines. Still V8s of course, but more economical and yet more powerful. 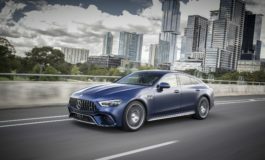 There’s a new 4-litre V8 as standard, that will propel this huge car to 100 km/h in 4.6 seconds, and yet use only 8.5 litres of petrol for every 100 kilometres. Naturally if this isn’t enough, there are the AMG models too, with the AMG S63 pumping out 450kW of power and 900 Nm (!) of torque. This will get to 100 in 4.2 seconds, and top speed is limited to just 300 km/h. What does all this add up to? A sublime road car, with driver assists that you barely notice are working. We can’t wait to get behind the wheel of the new S560 – it’s looking to be a fantastic drive.